Just a short while ago, you could arrive in Turkey and then get your visa to enter the country. It was known as a “sticker visa”. This has now been replaced by the electronic visa – or the e-visa. Now, if you don’t anything about this new process, you may feel like things have gotten a lot more complicated. Well, you will be pleased to learn that this isn’t the case. Rather, the electronic visa has made things so much easier for travellers wishing to enter the country. Still not sure about this process? Don’t worry, you can learn everything that you need to know about it, right here. The first thing that you need to know about the Turkish e-visa is that it is only applicable for trade and tourist purposes. If you wish to work or study in the country, there is another process that you must go through. For this, you will have to visit the Turkish embassy or consulate in your own region. While the name may sound fancy, the actual concept behind the e-visa is actually rather simple. In short, it is where you apply for your visa online. In fact, the entire process takes place online. You will also be required to make payment through digital means. Then, you will receive your visa this way too, if your application is accepted. Another thing to know about the Turkish e-visa is that this service isn’t available to all countries. Depending on the passport that you hold, you may be expected to get a visa from the Turkish embassy in your country. In rare cases, you simply may not require a visa to enter into Turkey. Currently, there are fewer than 100 countries that can apply for a Turkish e-visa. However, this list can change from time to time, so it is best to stay updated. When in doubt, visit the website for the Turkish Ministry of Foreign Affairs for further information. What Are the Steps You Must Take? 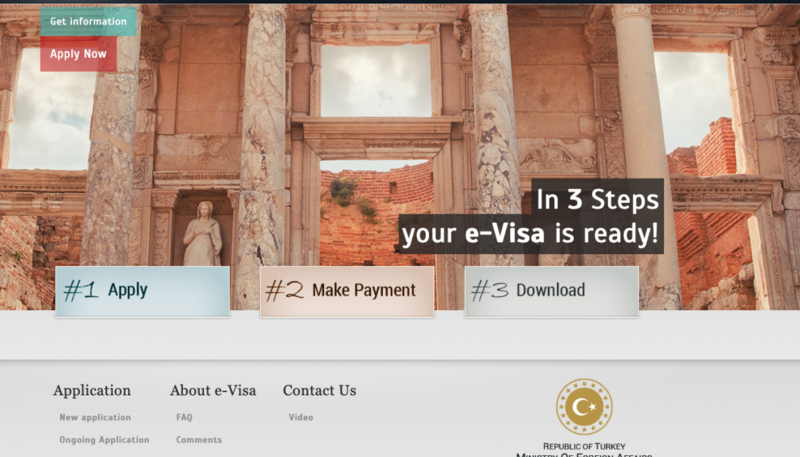 Applying for your Turkish e-visa is quite easy. However, if you have never gone through the process before, you may like some guidance. Below, you will find all of the steps for the application procedure. First, though, there are a few things you need to get started. You must have a valid passport on hand as you will have to input the details mentioned in this document. It is also important to know when you wish to enter Turkey and your preferred leaving date as well. Finally, you will require a valid credit card to make payment. Step 1: Visit the official website - www.evisa.gov.tr. Here, you should be able to find a suitable language to continue the rest of the application process. Step 2: In the upper left corner on the website, you will find an ‘Apply Now’ button. Click on this. 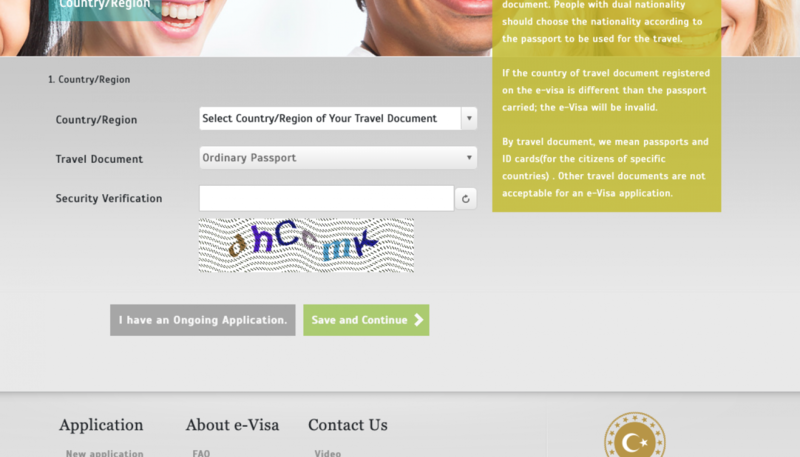 Step 3: In this section, you will need to fill out your nationality and the type of travel document you will use. You will also have to provide security verification. Step 4: You will have to enter your arrival date. Once you have done this, you will be provided with information regarding the validity of your visa and how many times you are allowed to enter the country. There is also a cost provided. Step 5: In this portion, you will have to fill out personal details such as your name, date of birth, place of birth, address, phone number, parents’ names, passport details, and more. Step 6: Once you click on the ‘Save and Continue’ button, you will then be provided of a preview of the information you previously inputted. Make sure to carefully check every piece of information as you will not be able to change it after this. If all of the details are correct, click on ‘Verify’. Step 7: An email will be sent to you as a verification step. Once you click on the link provided in the email, you will be taken to the payment page. Step 8: Input the required payment information and then complete the process. 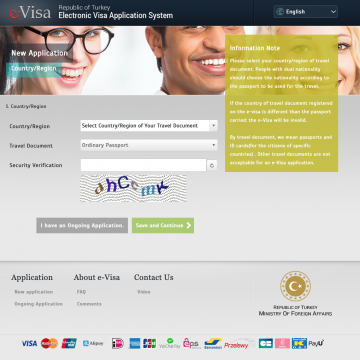 Step 9: Once the payment has been accepted, you will be able to download your e-visa from this page. You also have the option to check your email where there is another link available to download your e-visa once more. Step 10: Download, save and print out your e-visa. You should now carry it with your passport or identity card. •	Entering the country on the same dateFor this process, you will have to enter the personal details for the first member of the family. After this, you will need to click on ‘Add a New Person’ button. Once you have completed the application for the last family member, you can then make a lump sum payment. 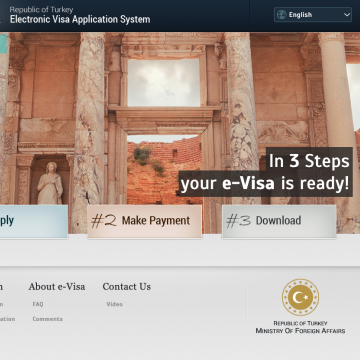 As you can see, applying for your Turkish e-visa is an incredibly simple process. Now that you know what you need to do, it is simply a matter of going ahead with the application.